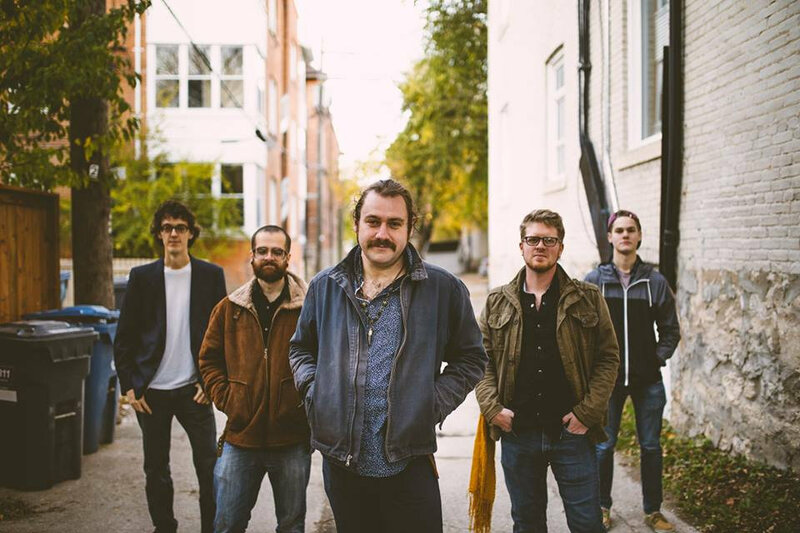 Born from the fusing of four uniquely talented Winnipeg, Canada based musicians, Apollo Suns have created a refreshing and innovative sound combining instrumental, rock, jazz and experimental music. Apollo Suns began in 2015 by Ed Durocher (guitar) and Dave Guenette’s (bass) and they soon after picked up Ethan McKibben (drums) and Chad Braun(keyboards). Trumpet player, Phil Collins, and percussionist, Paul Klassen, often accompany their live shows.